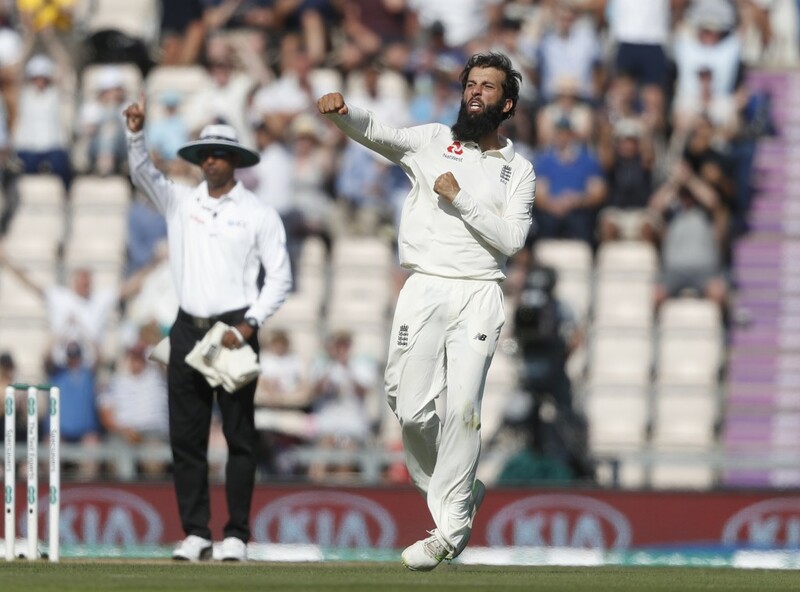 LONDON (AP) — Cricket Australia is investigating claims by England's Moeen Ali that he was called "Osama" by an Australian player during a match between the two countries in 2015. Ali, who is a Muslim of Pakistani and English heritage, claims the unnamed Australia player compared him to Osama bin Laden during an onfield exchange. The alleged incident occurred on Ali's Ashes debut in Cardiff, Wales, the England all-rounder said in his autobiography. Ali scored 77 runs in the first innings and took five wickets in the match, which England won. "Remarks of this nature are unacceptable and have no place in our sport, or in society," Cricket Australia said in a statement. "We have a clear set of values and behaviors that comes with representing our country." Cricket Australia also said it would be "following up with the ECB (England and Wales Cricket Board) as a matter of urgency to seek further clarification around the alleged incident." Ali said that after a conversation between England coach Trevor Bayliss and his then Australian counterpart Darren Lehmann, the player in question claimed he had called Ali a 'part-timer'. Writing in his autobiography, which is being serialized in British newspaper The Times, Ali said: "An Australian player turned to me on the field and said, 'Take that, Osama.' I could not believe what I had heard. I remember going really red. I have never been so angry on a cricket field." Ali, who has made 52 test appearances, was recalled to the England team during its recent 4-1 series win against India.